Foreman Alabam', Tenderfoot, Idaho, Arizona, Cookie and Tex are the hired hands on the Red Horse Ranch, working and singing hard for Dad Carter. Sam Carter faces all difficulties that ranchers have known for decades, like a hard winter that took half the herd, fencing disputes, a banknote that is coming due, and loneliness for a pretty daughter, Rose, who has been back East at school. With just this much we have the makings of a good Western Radio Serial, but stir into the mix some excellent Old Time cowboy Music, and you have a sure fire hit! The Music is provided by the KCMB Texas Rangers. 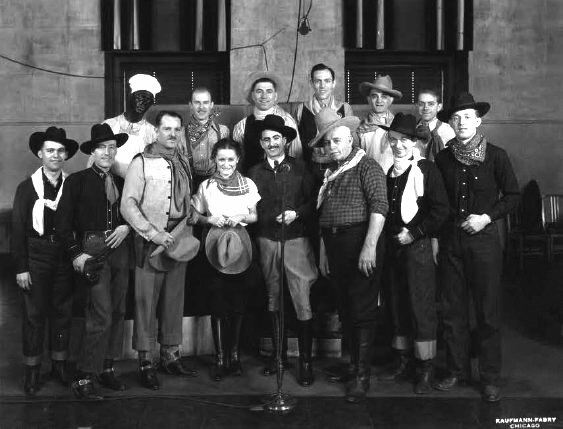 The Rangers appeared in several B-Westerns in the late '30s and early '40s, often co-starring with Johnny Mack Brown and Gene Autry. They made a number of appearances on West Coast radio, and were regulars on Melody Ranch for a time. Promotional literature put out by KCMB claims that the group plays twenty instruments, quite a selection for a Cowboy band! Bass fiddle and Accordion may not fit well wrapped up in a saddle blanket, but the Texas Rangers make it work. The serial seems a little contrived, typical fare for a B-Western movie, but it is entertaining enough to make you look forward to hear the next episode to find out who wins the big horse race and whether Dad Carter will be able to find the money to keep the Ranch, as well as wonder whether Alabam' will ever let Rose try to ride the cayuse he is training, and what will frog-voiced Arizona ever get over his loneliness for his girl? Could those Land Grabbers think that there is oil under the ground of the Red Horse Ranch? Tune in tomorrow to find out! 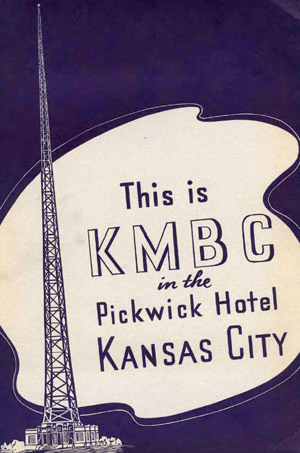 But mostly, tune in for the great Cowboy Music! Be the first to comment on "Red Horse Ranch"